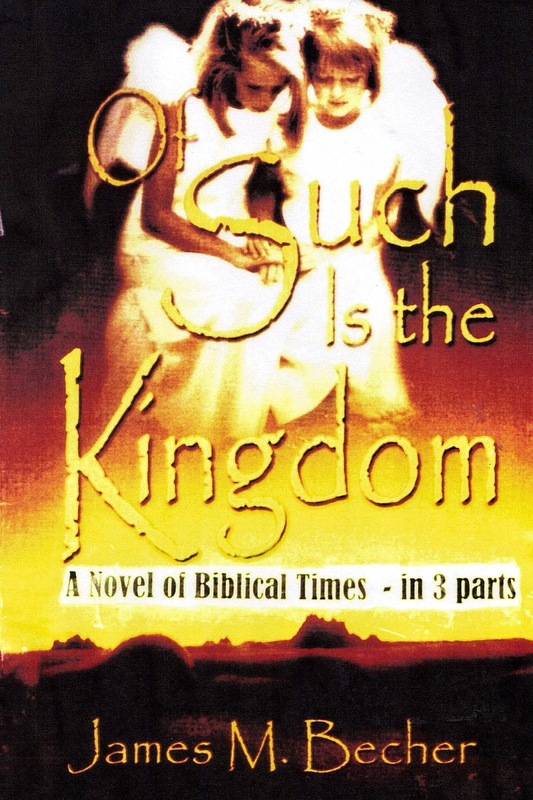 A blog primarily for synopsis and & reiviews of and excerpts from James M. Becher's excitng new work of Biblical ficiton unique among Biblical novels, OF SUCH IS THE KINGDOM, A Novel of Biblical Times." There is also a slideshow featuring other works of Biblical fiction. 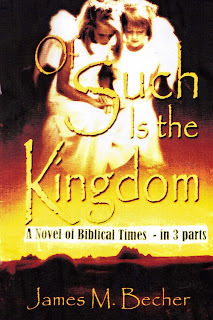 NEWS: PART I of the ebook of my historical fiction novel of New Testament & Roman times is now FREE (so you can see what it's like before ordering the other 2 volumes)--It's FREE in all eVenues, This #bookbubble has the first 4 sentences (to whet your appetite) and 5 "Buy" links to where the eBook is FREE. and reduced the price to $17.24, so by buying this edition you save $6.60 ovwr buying each part separtrfly. You can purchase it here: https://goo.gl/LcQujf OR if you prefer, you can start with PART I for $7.17 here: https://goo.gl/pnmLCS and get the other 2 later (Total $23.23) ------------------------------------------------------------------------------------------------------------------------------------- Also check out this novel's facebook page. AND it's hubpages hub. I decided to split Volume I (PARTS I & II) into two separate volumes (PARTI, and PART II), So, the trilogy is now complete and all are available in print, and each one around $8.00, so, the total for all 3 is under $24.00--less than it would have cost previously. WHY MY BIBLICAL NOVEL IS UNIQUE: Unlike "The Robe," "Ben Hur," or "The Silver Chalice", this novel poses no extra-Biblical miracles, but use fiction to point to truth. This novel is also unique because of its unique writing style combining poetry, straight dialogue and 1st person stream-of-consciousness narration with the 3rd person narrative. More reasons my Biblical novel is unique are: .A unique view as to who may have been behind the insurrection against Pilate .A historical anachronism: The attribution of non-conformity to two of the characters .It points to the crucifixion of Jesus as the focal point and most significant event. 'The conversion of some of the main characters, through seeing the truth. Here's an excerpt from Part I, Chapter 1, showing Barabbas' great hatred for the Romans and his first encounter with Manaheem. And, here's anexcerpt from Chapter 6, showing how Ib mix poetry with the prose and intoducing the character of the young beggar, Timotheus. Errors in the movie: "What Dreams May Come"
Give the Gift of Reading this Easter! GIVE the gift of READING this year! My Unique Historical Novel, "The Christmas Victory"